Another pair of pyjama shorts. Again from fabric sourced from a charity shop and using a free downloadable pattern. This time, the pattern came from the The Purl Bee in the form of City Gym Shorts. It was a pretty quick make. I semi-followed the instructions during contruction. The front pieces are sewn together along the curved edge, then the same with the back pieces. Then the bias tape is applied to the outer edges. I purchased a few metres of this stuff from Sew Me Something. It has this added lace detail which definitely makes the final result. A quick search on Etsy for “crochet double fold bias tape” brings up a bunch of online suppliers, unless you’re in the area and can visit the store in person. I have had this fabric in my possession for a while – it was a purchase from the charity shop I used to work in. And it was always going to end up as a matching pyjama set. With the current heat and humidity in the UK, a lightweight option was needed in my wardrobe. 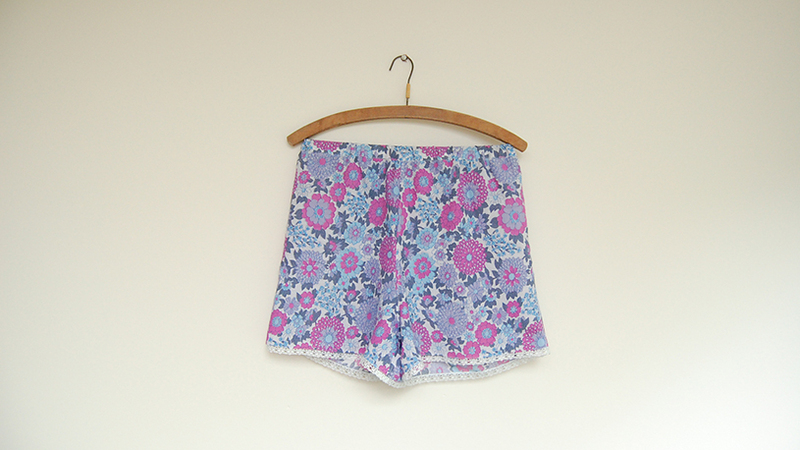 The shorts are a pattern copied from some favourite John Lewis pyjamas and the camisole is a free download from here. This make would have been essentially cost-free, if it wasn’t for the addition of lace trim. The shorts have an elasticated waistband, which I chose to fit me at my natural waist but in hindsight, hip height would be more comfortable. The camisole was the first use of teeny, tiny rouleau straps, which were attached with a little handsewing. The camisole has a racer back – a detail that I wasn’t sure about but has since won me over. The camisole has a loose enough fit to be able to get it on and off with ease, although there’s a little bit of gaping. Maybe I should add some subtle darting or cut it on the bias next time. I have another charity shop fabric find to experiment with. A quick make that used various scraps of fabrics that I’ve kept over the last 10 years. After sorting through my belongings and starting the process of decluttering, it made sense to use what I’ve already got. 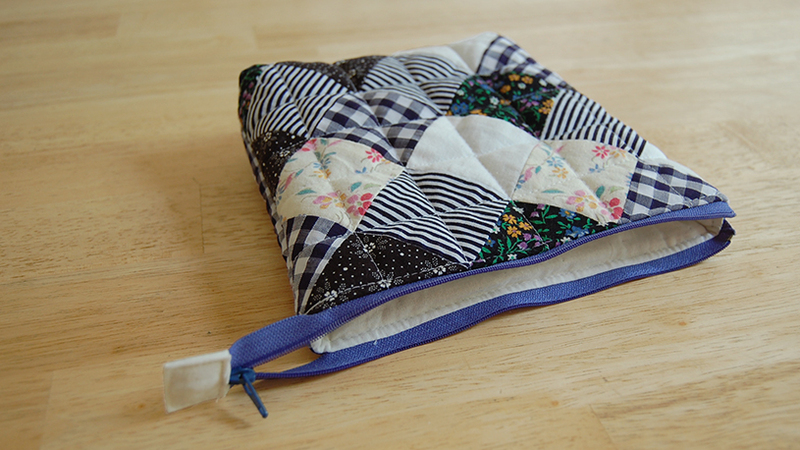 I pieced together some of my favourite scraps and some quilt batting to form this zippered pouch. 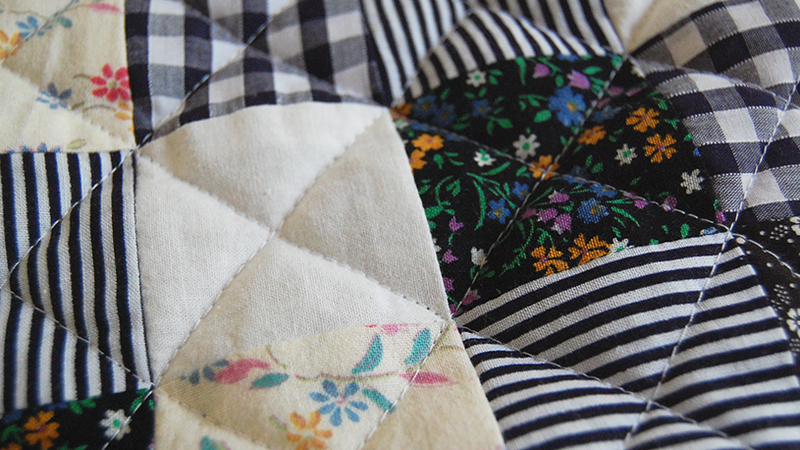 It started off as a 20 x 20 cm, but then the corners were flattened and sewn to give it a flat base. Quite a good exercise in precision too. All the corners are neatly lined up, despite my less than perfect cutting. A new make: the Archer shirt from independent sewing pattern shop, Grainline Studio using a striped cotton from Mood Fabrics. I skipped the toile-making stage and went straight into cutting out the pattern pieces from my well-travelled fabric. And the fit turned out pretty perfect. It’s a loose silhouette to begin with but the shoulder seam and sleeves are exactly the right shape and size. The length is pretty good too, hitting me around the hips. I made special effort to match up the stripes wherever possible, with special attention to the front. The pockets and sleeves are also match in pattern placement. 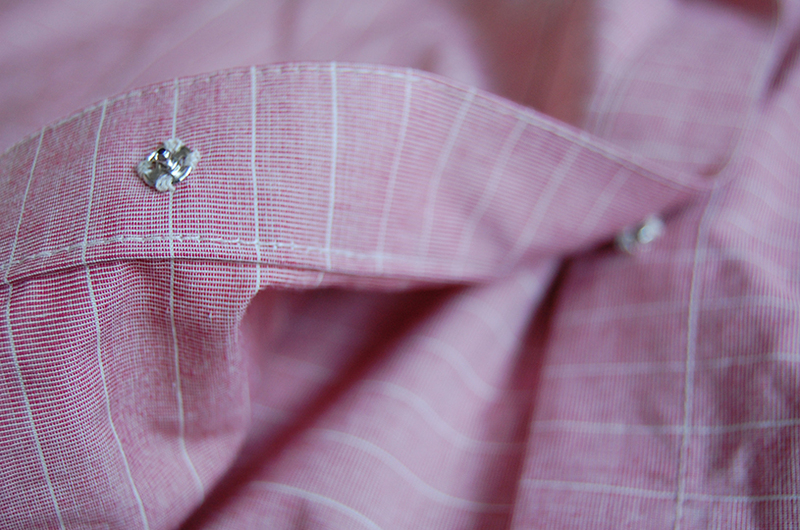 Snap fasteners were hand sewn to the inside of the button placket, to keep a simple, clean aesthetic. Bar that, all sewing was done by machine, following the thorough instructions fromJennifer. Well worth the money paid for this well designed, independent pattern. I foresee multiple copies, but in gingham and silk. The first make of the project: a chambray shirt dress with no sleeves, fitted bodice, full collar, gathered skirt and 10 buttons. Following a store bought pattern and fabric bought from a relatively new sewing studio in town, this dress was the outcome. I skipped testing the pattern and in this case, shouldn’t have. The waist was an inch too low and the bodice needed taking in at the sides. Having gotten as far as attaching the button plackets, I had a lot of unpicking to do to fix these issues. I took special care over finishing the insides neatly. Flat fell seams were used on the side seams of the bodice and skirt, a facing was used to conceal the waistband’s innards and matching handmade bias tape was used around the armscye. Not a perfect make, but I’m still pretty pleased and it’s already been worn several times. Extra fabric could be taken out with the darts and the armscye could be cut into for a more flattering shape. I’d originally intended for sleeves but messed them up in the process so decided that I didn’t want them anyway. A future version could (and should) be made in black and white polka dot, preferrably a crepe or viscose. And with sleeves! I set myself a New Years resolution to make more over the course of 2014. And whilst I definitely have kept that up, I’d like to make it more a more regular habit. 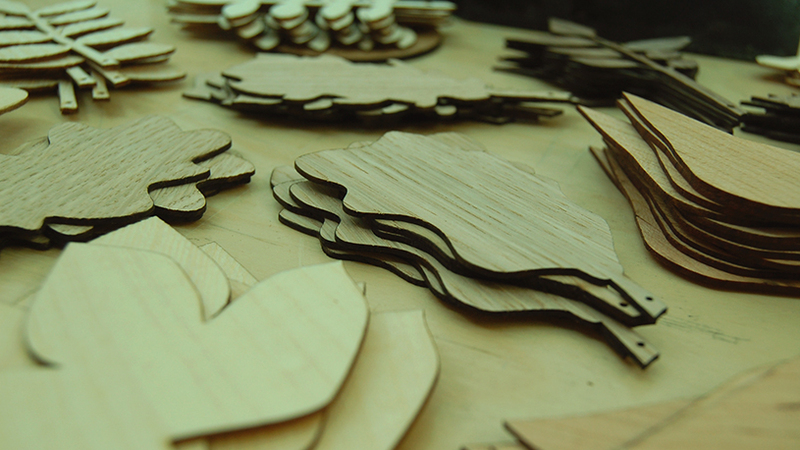 The aim behind the resolution was to lead a more creative life, giving myself the challenge of stepping away from the computer and making something with my own hands. I’m keeping this challenge open, so will include knitting, sewing, spinning, weaving, baking, drawing and anything else that takes my fancy.